For just over 17 years I have been involved with running hands-on workshops with all age groups and abilities including special needs. I find working with people very rewarding and enjoy inspiring others to find their own creative muse. 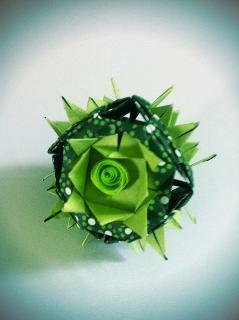 I am available for educational workshops, festivals, community events, hen parties or private groups. 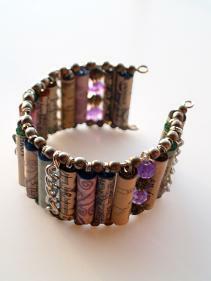 My workshops invariably incorporate paper, but I also utilize other reclaimed/recycled materials such as plastic, card and metal. I have a current Enhanced CRB Disclosure Certificate and Public Liability Insurance to the value of £5,000,000. 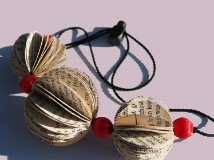 This amazing book structure will definitely capture your imagination and is a great way to explore book making. 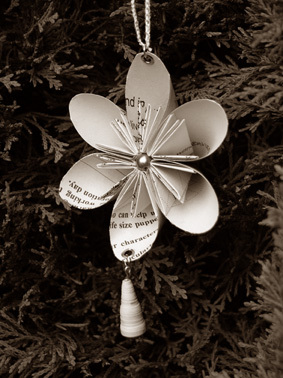 During this one day workshop, Phiona will show you how to create this sculptural book. Create a one-off personal piece of jewellery inspired by nature. 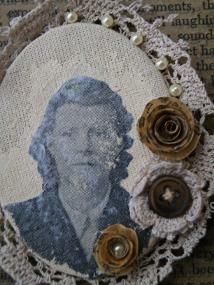 You will discover how to transfer photographs onto fabric and embellish it using buttons, clock parts, beads etc. 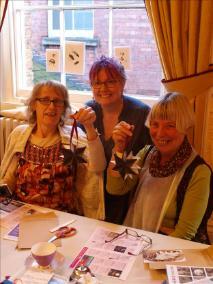 This is a fun workshop and each piece of jewellery is unique to the maker. 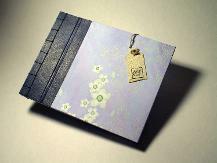 Explore the joys of bookbinding whilst designing a leather book wrap. In this half day workshop Phiona will show you how to make a pamphlet book and design and create a leather wrap to put your newly made books into. 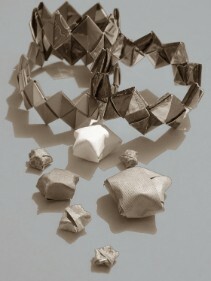 Come and join Phiona Richards at this full day workshop and explore a crown binding designed by Heidi Kyle. This is a book structure that is made to allow you to add and remove pages. There is no sewing involved, mainly folding. 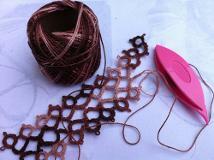 Come along and explore the delights of making your own lace for bookmarks, edging and jewellery. Phiona will get you started by showing how to load your shuttle, how to make knots, the flip then go on to learn how to make a ring and a chain. 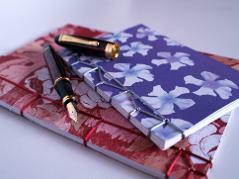 In this workshop you will learn a Japanese bookbinding technique. 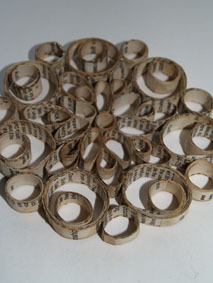 Discover how to prepare your papers, how to cut them and pierce them ready for sewing. Then Phiona will show you three different stitch patterns for you to choose from. 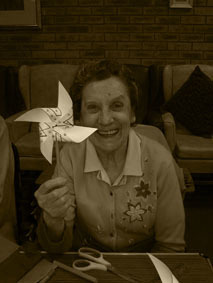 Using vintage images supplied by Phiona you will design and create a special piece of jewellery. During this full day workshop which will have it's venue at the Botanical Gardens in Leicester, you will take your Inspiration from nature. Once you have transferred you image you will assemble your jewellery piece and embellish it with stitch, beads, buttons and lace. 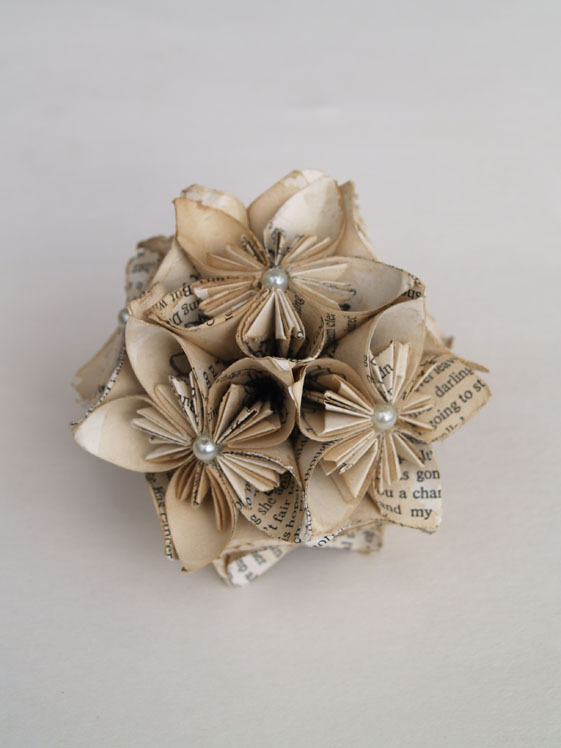 In the space of three hours you will learn how to fold decorative papers to create which can only be described as a Flower Orb or Kusudama. During the session you will make a Japanese Stab Bound notebook. 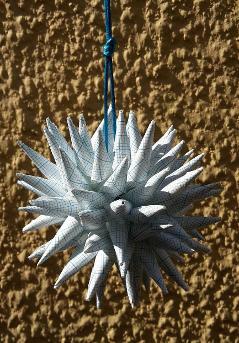 You will discover how to prepare your papers, how to cut them and pierce them ready for sewing. You will go on to look at the different stitch patterns, there are three for you to look at; noble, tortoiseshell and hemp leaf. Imagine three days of exploring stitch in the beautiful surroundings of Leicester Botanical Gardens. This is a wonderfully relaxing experience in a beautiful setting. During 3 day workshop there will be time to explore Leicester's beautiful botanical gardens to gain inspiration for your embroidery. This sampler book is not what you are expecting, Phiona will show you how to make a beautiful pocket book to keep a series of samples in which you will work on in a variety of embroidery stitches. This is the perfect opportunity to get started with learning embroidery? During the day Phiona will show you some basic stitches and ways you can apply them. You will explore colour and by the end of the day you will be well on the way to finishing your first hand stitched sample.